I’ll admit it, I’m nuts about nuts. I know this won’t be the first time you’ve heard something like that, but it bears repeating because nuts are just so good. Working in an office where they people who stock the break room have decided that fat is the most evil thing you can eat, but low-fat high-carb breads, crackers, and cereals are the ideal food, it can be hard to find something healthy to snack on. I did say snack. Snacking isn’t something that I have to do because I crave food, but there are days when it’s impossible to get away for a nice salad or some meat and veggies, skip the rice, at the local Chinese fast-food joint. On days like that, my only nutrition can come from the foods I manage to shove down my throat between meetings. The nuts in my office are relegated to that dark, shameful corner where they hide the chocolates and the candies. Somehow, the two categories have become associated, even though there’s really no comparison. I just push the candies aside and dig into the nut bin for some sustaining and nourishing food. My favorite nuts are actually walnuts, even though they have a bitter taste that puts me off somewhat. I find the satisfying squirt of oil that I can feel in my mouth when I bite down on one very appealing, despite the flavor. 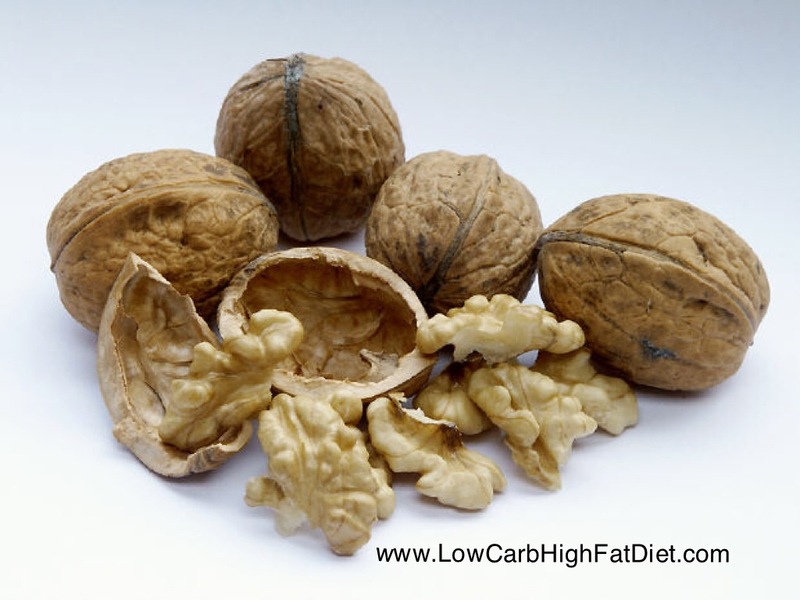 And it turns out that walnuts are rated among the lowest on the glycemic indices for foods that spike blood sugar, too. Almonds are always a popular choice. You can get them smoked, salted, or just raw and ready to eat. I find raw almonds a little unpalatable, so I like to toast them up just a bit in the microwave before eating them. In fact, a handful of raw almonds heated in the microwave with a pat of butter and a shake of salt for a minute can be a very satisfying treat. After that, I find I enjoy practically all nuts other than the very tropical ones, such as Brazil nuts, although I do make an exception for the distinctly fatty and crunchy macadamia. Pecans are probably the healthiest, and they remind me of walnuts, so I seek them out. Hazelnuts can also be fun. I have heard some people say that nuts can trigger cravings because of their combination of high-salt, moderate carbohydrate, and the ease with which you can guzzle them by the handful. I suspect some of that comes from the fact that nuts are high in calories–a term I rarely find myself using these days–and “the experts” have a hard time letting go of advice to watch calire counts. My opinion is that, unless you’re having other trouble with your food program, you probably don’t find yourself troubled much by appetite and urges to overeat. But if you do, as with any food, you need to pay attention to what goes into your body and adjust your eating accordingly. I encourage you to look for ways to incorporate more nuts into your diet. They provide a wealth of fiber and fat, along with their own unique selection of natural vitamins and minerals. If they have what it takes to grow into a tree, you know there has to be something good in there for you!